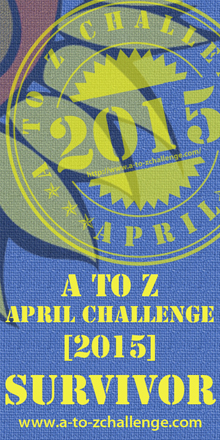 I haven't delved back into this blog since the A to Z Challenge 2015 wrapped up. I really should aim for a few posts a month, at least. If there's ever a good reason to randomly return to I, Jak it's the prompting of a new, special, one-off blog hop hosted by a friend. One celebrating a mutual friend's birthday in a different and unique way. At least for myself.